Palm Sunday marks the last Sunday in Lent before Easter. It’s the start of Holy Week, and marks the day when the Bible states that Jesus entered Jerusalem. He came on a donkey and his followers placed palm leaves in his path (hence the name). The date changes every year depending on when Easter is held, but in 2019, Palm Sunday is on April 14. The holiday comes near the end of Lent, which has its own strict food traditions. And while Palm Sunday’s food traditions hardly make it a big food holiday (other than the modern Palm Sunday brunch), there are a few foods to represent the holiday. After all, even the non-food-focused holidays in the Christian religion have some food traditions. For example, the Sunday before Palm Sunday is known as Carlin Sunday (as in Carlin peas) in parts of northern England and Scotland. Tradition has it that you keep a hard pea in your shoe as penance during Lent, and you take it out and eat split pea soup on Carlin Sunday (not necessarily including the pea that’s spent five weeks in your shoe). But there are a few more enticing options — these are four traditional Palm Sunday foods. During the Middle Ages in England, churches would hand out small biscuits called pax cakes after Palm Sunday service. Pax means peace in Latin, and the clergy would utter something along the lines of “God and good neighborhood” when handing them out to congregants (and, this being the Middle Ages, a small glass of beer would be given with the pax cake). The biscuits would have the image of a lamb and a flag to represent Jesus (the Lamb of God) and peace. Churches in Herefordshire in central England are known for continuing the pax cake tradition, though many churches have abandoned the practice. In parts of England, it’s a Palm Sunday tradition to drink well water mixed with licorice from Spain. The practice has led to Spanish Sunday being a lesser-used nickname for Palm Sunday. It’s not known exactly why parts of England turned to licorice water during Palm Sunday, but licorice has been associated with holy wells since the 1700s, according to what author Gary Varner wrote in Sacred Wells: A Study in the History, Meaning, and Mythology of Holy Wells. 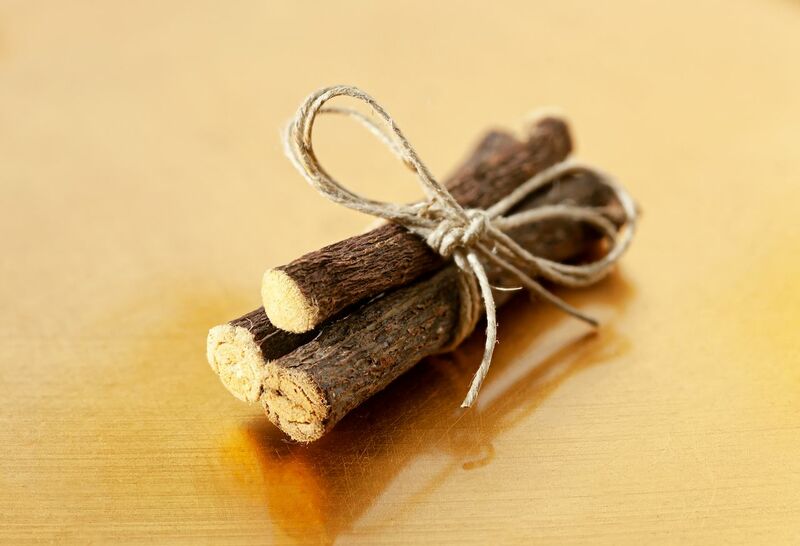 Licorice was sort of a natural disinfectant and sweetener. Before WWI, children would go to the well and drink a bottle of the water infused with licorice from Spain while wearing a sprig of a willow tree. It died out after the war, however. The licorice connection likely goes back to pre-Christian traditions. Wells around England in locations that have evidence of human use dating back 4,500 years and more are connected to licorice-water drinking. One in Silbury Hill is connected to an Earth goddess and people there would have licorice water and fig picnics. Others were subject to a tradition of people adding sugar to the well water on Sundays, and after Christianity came to the region, on Palm and Easter Sundays. The Wychwood well has a particularly tight connection to licorice water, as Kevan Manwaring wrote in Oxfordshire Folk Tales. People would travel to the well on Palm Sunday and mix the water with Spanish licorice and lemon to make a type of holy water. That in itself is believed to come from the Celtic folk practice of worshiping water. 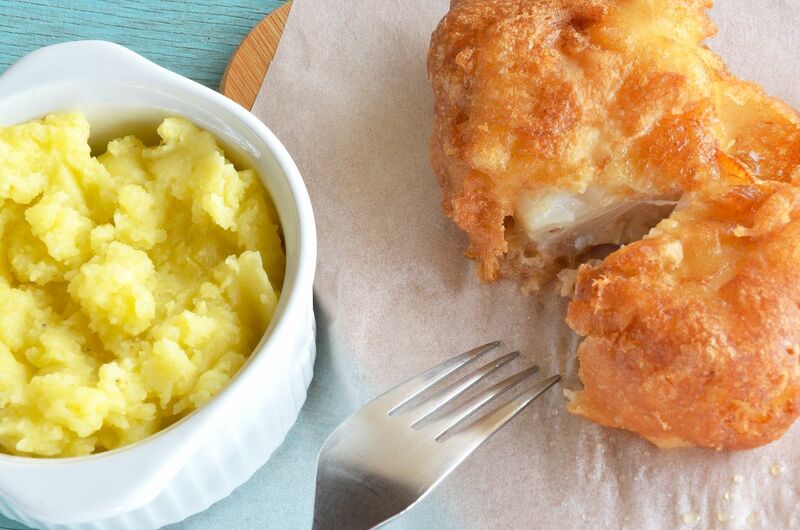 In Greece, bakaliaros, or fried salt cod, is the traditional Palm Sunday meal. Lent generally discourages people from eating anything alive, and that includes fish. Fish is served during Palm Sunday in the Christian Orthodox faith, however, because of its connection to Biblical stories. A fish symbol is and always has been a symbol of Christianity, and Palm Sunday is one of the Great Feasts that celebrates Jesus’ entrance into Jerusalem. In the Bible, there’s a story about Jesus cursing a fruitless fig tree outside of Bethany in what is now considered Passion Week, or the week preceding Palm Sunday. In the story, the tree appeared to have figs because it was full of leaves, and, hungry, Jesus approached it. He cursed the tree to die when he found it had no fruit. Once he reached Jerusalem on what is now Palm Sunday, as the story goes, he ate figs. Thus, figs have become an important food on Palm Sunday. In modern context, that could mean fresh figs or something like fig pudding. So, probably not a Fig Newton.